Santrauka: A Bertie and Jeeves classic, featuring the Junior Ganymede, a Market Snodsbury election, and the Observer crossword puzzle. 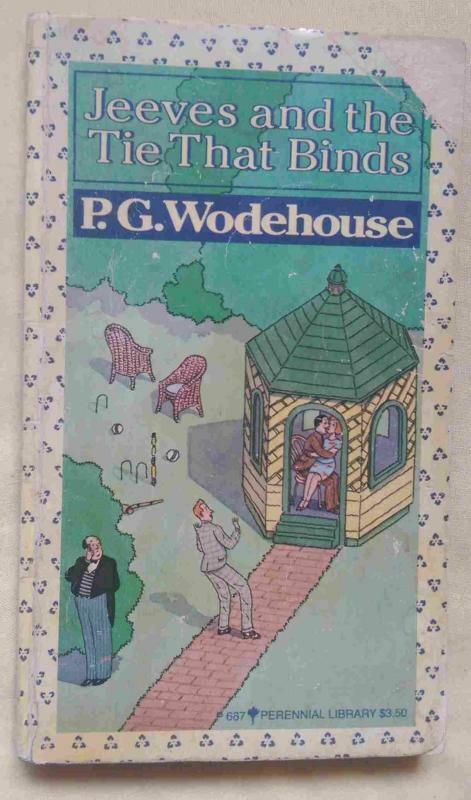 Jeeves, who has saved Bertie Wooster so often in the past, may finally prove to be the unwitting cause of this young master's undoing in Jeeves and the Tie that Binds. The Junior Ganymede, a club for butlers in London's fashionable West End, requires every member to provide details about the fellow he is working for. When information is inadvertently revealed to a dangerous source, it falls to Jeeves to undo the damage.